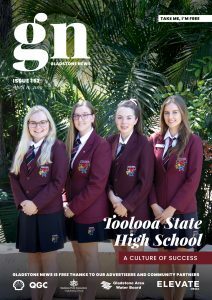 Lillian Ward and Jodi Pallett both from Tannum Sands State High School will attend centennial commemorations on Anzac Day in Villers-Bretonneux, in France as part of the Premier’s ANZAC Prize. She will have a chance to honour the Anzac tradition in a personal way, by researching and writing about service people from our region, or a soldier who may have enlisted at a similarly young age. 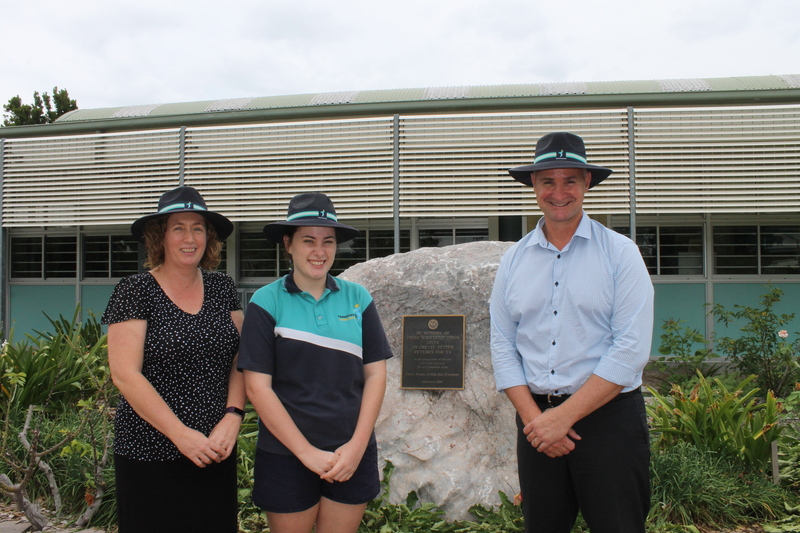 Presenting the prize to Lillian and Jodi, Member for Gladstone Glenn Butcher said that the Premier’s Anzac Prize had effectively engaged younger generations in understanding the Anzac tradition and how the Anzac spirit is instilled in the Australian way of life. The battle of Villers-Bretonneux in France, and the subsequent pushing back of German forces has been described as a crucial turning point in World War I.
Australian troops displayed great bravery, but also suffered a terrible loss. Some 2,400 Australians died in the battle to recapture the town around April 24-25, 1918, many of them only in their late teens or early twenties. Peter Pedersen, a consultant historian to the Federal Government’s WWI centenary, says while Australians rightly commemorate the fighting at Gallipoli, the battles at Villers-Bretonneux should be given higher prominence in accounts of Australia’s involvement in WWI. After an advance by the German forces on April 24, an immediate counter-attack was planned by British commanders, with two Australian brigades and three British battalions ordered to encircle the town at night. Dr. Pedersen says the Australians had “by far” the most important role in the battle, approaching the town from opposing directions to trap the Germans. In all, about 3,900 men were part of the attack.